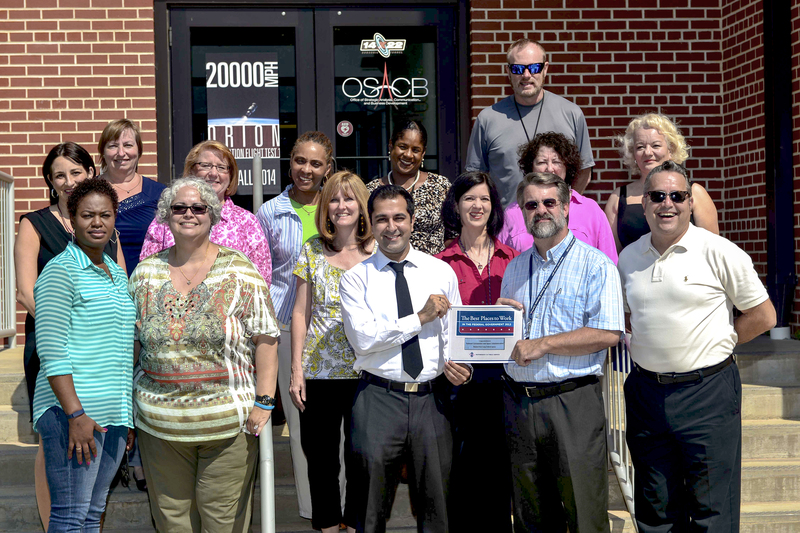 Agency Chief Information Officers celebrate BPTW 2013! 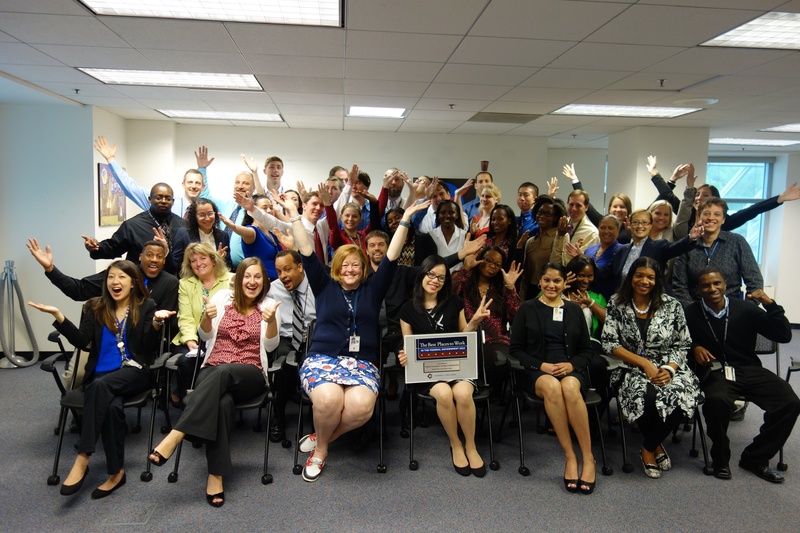 Agency Chief Information Officers (CIO) celebrated NASA’s Best Place to Work achievement during their 2014 CIO Leadership Meeting. Those present to showcase the plaque included Leigh Anne Girardi, Jim Rinaldi, Larry Freudinger, Sean Gallagher, Dana Mellerio, Lara Petze, Dennis Vandertuig, Dinna Cottrell, Annette Moore, Jeff Seaton, Gary Cox, Larry Sweet, Jonathan Pettus, Deborah Diaz, Vanessa Stromer, Terry Jackson, Jim Walker and Victor Thompson. 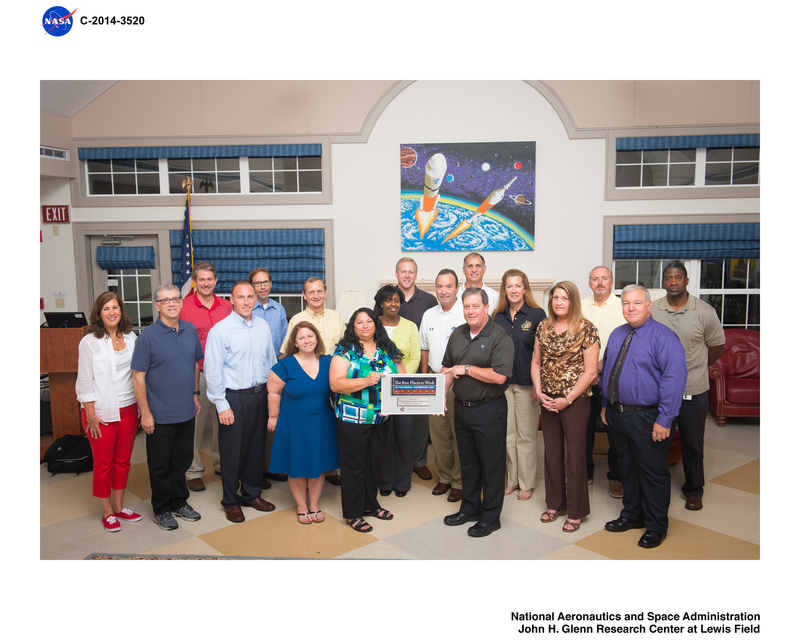 Members of the NASA Enterprise Service Desk (ESD) Subject Matter Experts (SMEs), Service Executive, and Service Office celebrated the Best Place to Work achievement at their third annual ESD SME Face-To-Face Meeting at Langley Research Center on June 17-19, 2014. 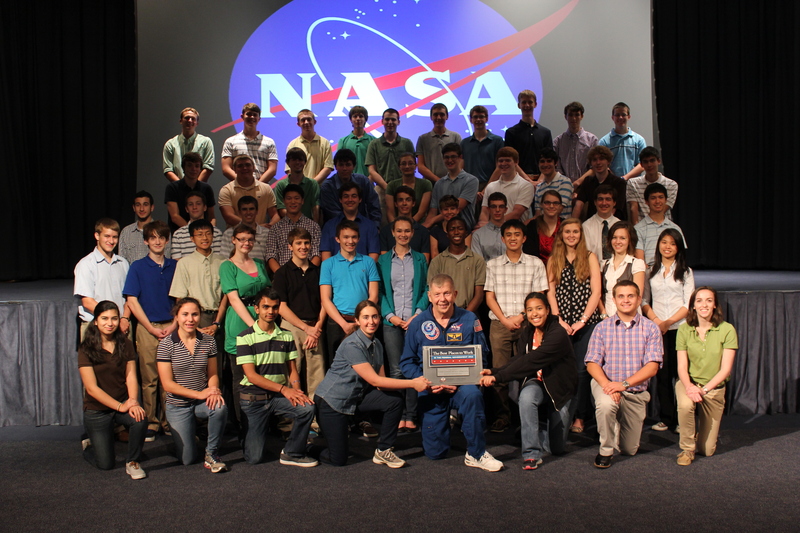 Students from the Virginia Aerospace Science and Technology Scholars (VASTS) program and Astronaut Roger Crouch celebrated NASA’s designation as the Best Place to Work in the federal government. During the week-long VASTS Summer Academy at Langley Reseach Center, the students design a full human round-trip mission to Mars. GSFC NASA First Alumni showcase BPTW 2013! Goddard Space Flight Center NASA First Alumni celebrate NASA’s designation as the Best Place to Work in the Federal Government for the second year in a row. Shipping a satellite by air, land and sea! 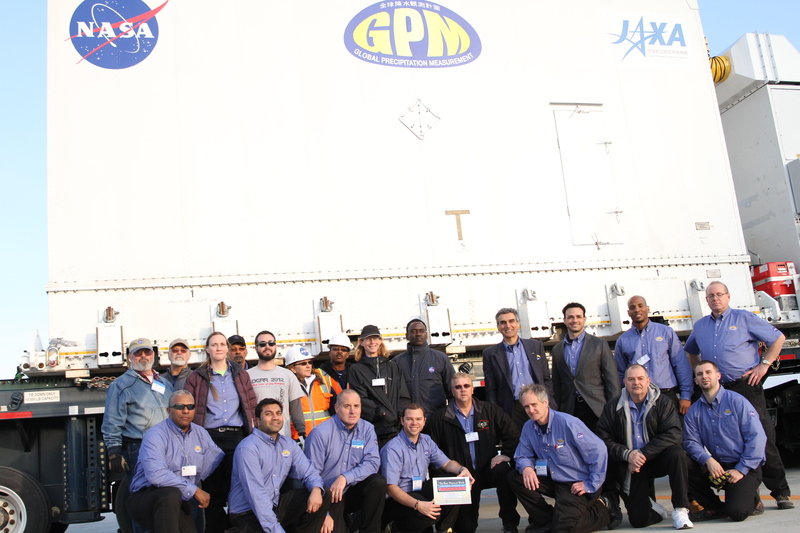 The Global Precipitation Management (GPM) C-5 cargo plane shipping crew showcased NASA’s Best Place to Work achievement after arriving in Kitakyushu, Japan. The GPM Core Observatory is a satellite (inside the container in the background of the picture) that launched from Tanegashima, Japan on February 28, 2014 at 3:37am (Japan time). Its objective is to measure precipitation (rain, snow, hail) around the globe in order to help study our climate, as well as provide valuable information that will help manage the consequences of too much precipitation or too little precipitation.